Pondicherry is one of the most popular tourist destinations in India. It is a beautiful city bestowed with some significant colonial remnants and a great cultural heritage. Visit the city to explore and experience it for real and pick from the best hotels in Pondicherry. 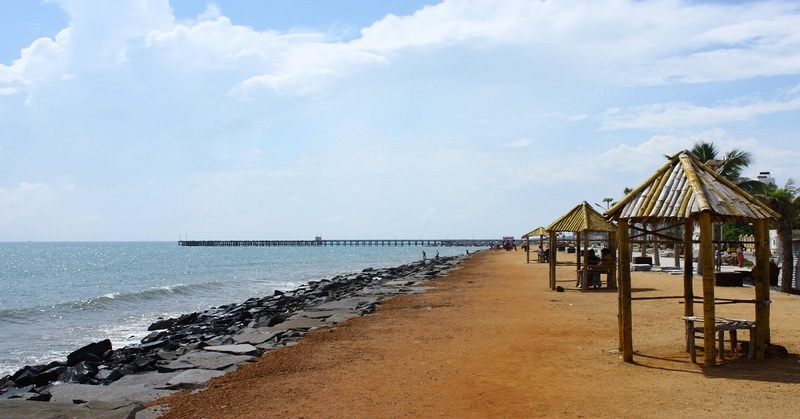 Pondicherry, officially called Puducherry, is a district and a municipality in the Indian Union Territory of Puducherry. The headquarters of the district is situated in the city that shares the same name. In fact, Pondicherry is the regional capital and the second largest city of the union territory. The glorious history and the serene stunning natural beauty of Pondicherry generate huge tourist attention, thus, earning the city a top spot in the list of popular holiday destinations in India. Every year, there is an increase in the number of tourists visiting the city. The good thing is that starting from the cheap hotels in Pondicherry to the luxurious 5 star hotels, there is no shortage of good hotels in the place. Being a coastal city, Puducherry experiences a tropical wet and dry climate, similar to what the other coasts of Tamil Nadu experience. Summers are generally hot and dry with the mercury rising as high as 41 degree C. Time duration from June to September experiences humid days with occasional thunderstorms and rain showers. However, the actual rain starts from mid-October as the city is showered with heavy rainfall. It is followed by winter, which is the most ideal time for a tour of the city. The city is one of the oldest cities in the region. However, the most prominent earliest political history of the city points back to the colonial era. An interesting thing is that unlike most of the neighbouring cities and kingdoms, Puducherry was ruled by the French throughout the colonial era. There were some occasional interruptions caused by the British and the Dutch, but they never succeeded to gain the reign over the city. The French annexed the city in 1674 by defeating the sultan of Bijapur. It was only in 1954 when Indian paramilitary forces annexed the city and the region was included as an Indian Union Territory in the Indian mainland. Another interesting fact about the union territory is that 16th August is celebrated as the Independence Day in Puducherry. The city is filled with numerous old bungalows, churches, statues, etc. which are the remnants left by the French. They give the city a unique European outlook and today are amongst the most popular tourist attractions of the city. The areas around the Promenade Beach particularly are filled with the heritage buildings and monuments. The most significant ones include: Romain Rolland Library, French War Memorial, Pondicherry Museum, Gandhi statue, 19th Century Light House, Legislative Assembly, Children’s Park & Dupleix Statue, and French Institute of Pondicherry. Located close to the New Bus Stand towards the south is the Puducherry Botanical Gardens, which is also one of the major sightseeing spots in the city. Besides, visiting the Arulmigu Manakula Vinayagar Devasthanam Temple and Thirukameswar Temple is also one of the popular activities amongst the tourists. These are highly revered Hindu temples of Lord Ganesha and Lord Shiva, respectively. Other popular places to visit include: Aurobindo Ashram, Villianur, Promenade, Church of the Sacred Heart of Jesus, Chidambaram, Pondicherry Museum, Auroville City, Raj Niwas, Kottucherry, and Pondicherry Beach. Lodging in the city comes in a wide budget range.The hotels in Pondicherry are best known for offering affordable and satisfactory stay to their guests. To name some of the popular hotels here: Green Palace Hotel, Corbelli Hotel, Ginger Hotel, Ocean Spray Hotel, Raj Residency, Le Pondy, and Annamalai International.